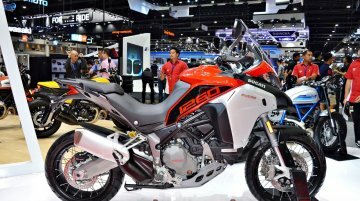 Ducati displayed its new 2019 Multistrada 950S at the Bangkok International Motor Show 2019. 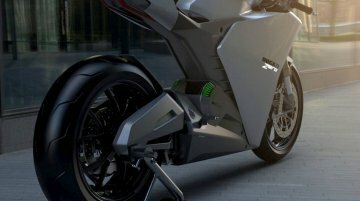 The motorcycle was seen in Glossy Grey with Ducati Red frame paint scheme at the 2019 iteration of the..
After the company’s CEO, Claudio Domenicali, its Ducati’s Head of Innovation, Pierluigi Zampieri, who has confirmed the electric future for the brand. Zampieri has confirmed that the company is alread..
As much as we enjoy the internal combustion engine, there is no denying the fact that the planet is running out of resources to power those motors. 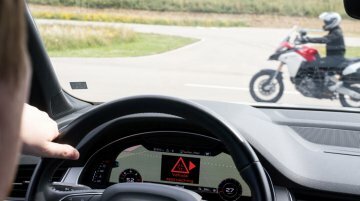 Thus, it would not be long before electric mobility..
Ducati, together with Audi and Ford, took part in the first US demonstration of a communication system that interlinks vehicles, street infrastructure and pedestrians. 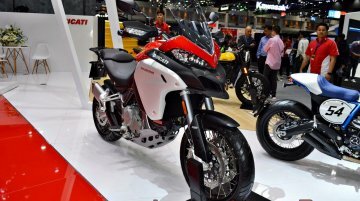 Ducati Multistrada 1260 Enduro,..
Bajaj Auto had a long run with Kawasaki in India before the two companies parted ways in 2017. 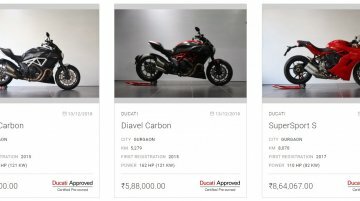 Currently, Bajaj owns a stake in Austrian two-wheeler brand, KTM and has signed an agreement with British..
Ducati has entered the pre-owned bike market in India through the Ducati Approved program that offers pre-owned Ducati motorcycles that go through quality and performance checks. Qualified Ducati..
KTM’s CEO Stefan Pierer, a man who also owns Husqvarna, has expressed interest in Ducati. In an interview to SpeedWeek, Pierer said that having Ducati in the group would be interesting. Pierer also.. 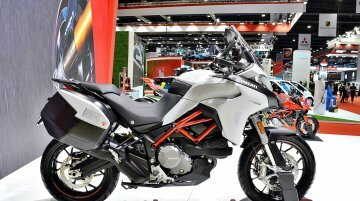 The upcoming new Ducati Multistrada 1260 Enduro, which replaces the Multistrada 1200 Enduro, is on display at the ongoing Thai Motor Expo in Thailand. 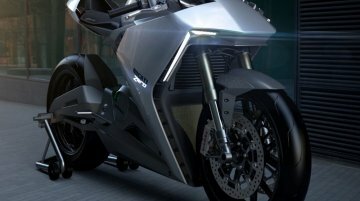 The new Multistrada 1260 Enduro is expected to.. 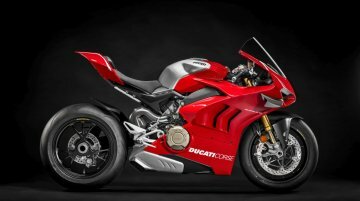 The Ducati Panigale V4R, which made its debut at the recently concluded EICMA motorcycle show in Milan, has been launched in the Indian market for INR 51.87 lakh (ex-showroom, Delhi). 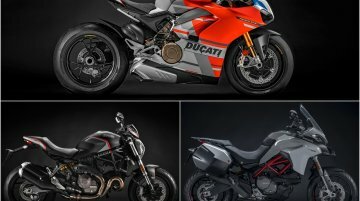 The motorcycle..
Italian bike maker Ducati has unveiled its 2019 product line-up ahead of EICMA 2018. 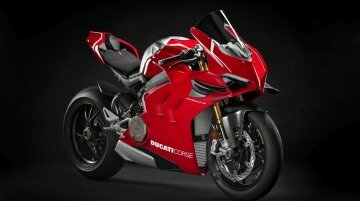 These include the Ducati Multistrada 950S, Ducati Monster 821 Stealth and the Panigale V4 S Corse. 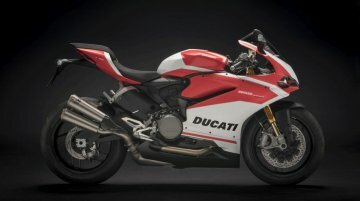 The company has..
Ducati has unveiled its 2019 product portfolio that comprises of new and updated models. 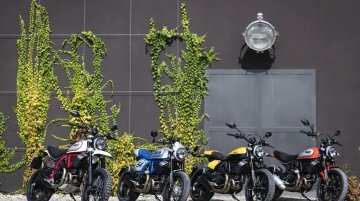 The Bologna-based motorcycle manufacturer will display its 2019 range of products at the 2018 EICMA motorcycle..
Ducati has unveiled three variants of its Scrambler range – Full Throttle, Café Racer and Desert Sled – at the 2018 INTERMOT motorcycle show in Cologne. 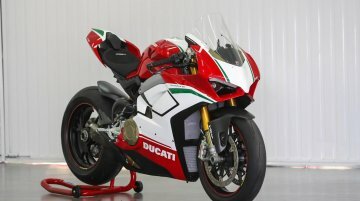 Ducati will launch the new 959 Panigale Corse edition in India very soon, reports Autocar India. 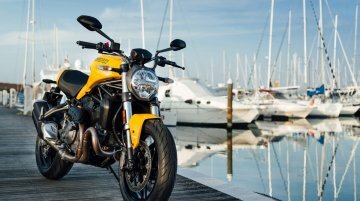 The new variant of the Ducati 959 Panigale will reportedly arrive with a price tag of approximately INR..
Ducati India has launched the all-new Ducati Scrambler 1100 range in India, priced from INR 10.91 lakh (ex-showroom India). 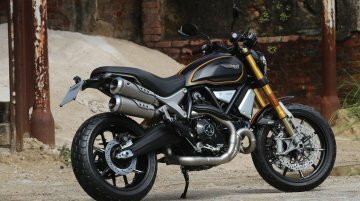 The Scrambler 1100 range includes three variants - Standard, Special, and..
Ducati India has announced the launch of Scrambler 1100 on 27 August. 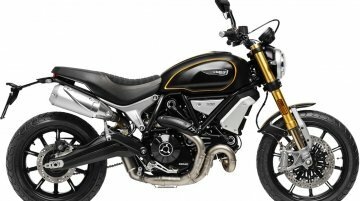 That said, an early August report claims that the Ducati Scrambler 1100 will cost INR 11.50 lakh (ex-showroom India) for the base..
Italian bikemaker Ducati could partner with Hero MotoCorp to develop 300 cc single-cylinder motorcycles, speculates Bikewale. 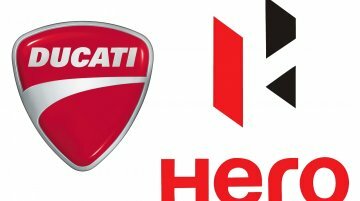 In April 2017, rumours were rife that Hero MotoCorp could buy Ducati from..